In today’s competitive marketplace it helps to have a personalized touch that makes you stand out from the pack. With Hootsuite’s Analytic Reports, you can customize and brand your reports, making them truly yours. Learn the benefits of customizing your reports, and follow our step-by-step instructions on how to add a personalized touch. If you run your own a business, are a part of a marketing agency, or are a social media manager, you will find value in sharing your reports with clients or coworkers. By customizing your reports with your branding and adding personalized headers and descriptions, your report will not only look professional, but it enables you to add extra information to ensure your report is as comprehensive as possible. These unique Hootsuite Analytic Reports allow you to customize and personalize your information at the Pro level. Sign up for a Hootsuite Pro trial to get access to Hootsuite analytics for free! Personalize your analytic reports with logos, contact information, and more. Follow along to find out how. 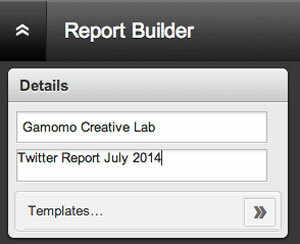 Within your Custom Report, start off by by adding your logo into the Personalized Header field. Click Upload Image to upload the image of your choice. Next, enter your chosen contact details like name, email, business, phone number, and website URL. To add a new header to your report, click and delete Type a Header Here. Replace the old text with your chosen header. Note: To add extra headers throughout your report, click General under Analytic Modules in the left-aligned menu bar of the ReportBuilder. Then, select the + next to Header Text – Full Size or Header Text – Half Size. To easily identify your report, make sure to give it a title and brief description under Details in the top left corner of your dashboard. 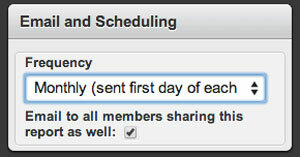 Under Email and Scheduling, click the drop-down menu and select how frequently you would like your report distributed. To ensure that your Team Members also receive your report, make sure the checkbox next to Email to all members sharing this report as well is selected. Another way to personalize your report is by adding details—like feedback, thoughts, or any other relevant information—through text descriptions. Click General under Analytic Modules. Then, select the + next to Paragraph – Full Size or Paragraph – Half Size. Next, enter your text in the paragraph box. Click Done. 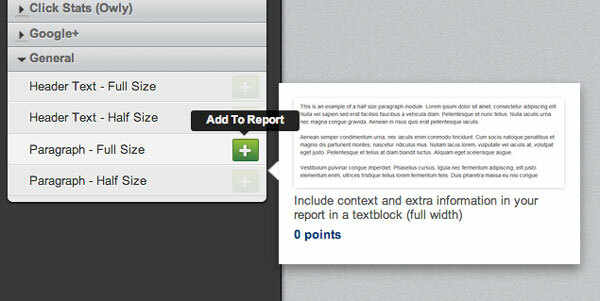 Drag and drop your paragraph box anywhere in your report.